Home stair lifts are becoming more and more commonplace. As the population over the age of 65 continues to expand along with the number of people who living long past their expected life expectancy, more and more home owners are installing star lifts in their homes. Stair lifts are a safe and affordable way for elderly people to traverse a set of stairs. In general, most stair lifts allow for enough room for others to be able to walk up and down the stairs and not bump into the home stair lift. There are stair lifts that will work with a curved set of stairs, a commercial stair lift that can transport up to 500 pounds and there are even stair lifts that are designed for outdoor use. The Indy XL is a classic example of a stair lift that will safely and securely transport an elderly person up and down a set of stairs. 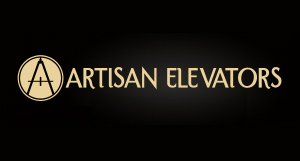 This lift can safely transport an industry best of five hundred pounds and it has a maximum travel distance of an astonishing forty feet, along with a heavy duty seat. 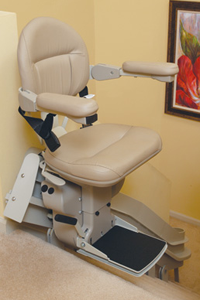 It comes with an arm and foot rest frame, an easy to use integrated constant pressure control switch, and a 90-degree swivel at both upper and lower landings, and it is non-handed for easy change to right or left side configuration. As with most stair lifts, the Indy XL lift comes with a five year warranty. An investment in a high quality and reliable home stair lift will make life easier for everyone. A newly installed stair lift will improve the quality of life for everyone in the family.